Prof. Ana María Cetto, Research professor of the Institute of Physics and lecturer at the Faculty of Sciences, Universidad Nacional Autónoma de México. Ana María Cetto is a full-time research Professor at the Institute of Physics, and lecturer at the Faculty of Sciences, Universidad Nacional Autónoma de México (UNAM). She holds an M.A. in Biophysics from Harvard University and a M.S c and Ph.D in Physics from UNAM. Her main field of research is theoretical physics, with emphasis on the foundations of quantam mechanics, where she has contributed substantially to the development of stochastic electrodynamics. She is co-author of "The Quantum Dice" (Kluwer, 1996). Prof. Cetto is the former Dean of the Faculty of Sciences, and former head of the Theoretical Physics Department at the Institute of Physics. She chaired the project for the Museum on Light (UNAM), inaugurated in 1996. She served as consultant for the UNESCO World Conference of Science (1999). From 2003 to 2010 she served as Deputy Director General of the International Atomic Energy Agency (Nobel Peace Prize 2005), where she headed the Department of Technical Cooperation. She is founding President of LATINDEX, online information system for Ibero-American and Caribbean scholary journals. 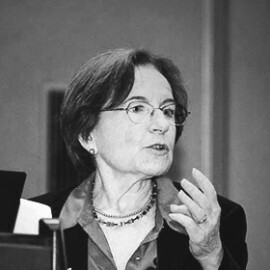 Prof Cetto has held honorary positions in a number of international organisations, such as the Executive Boards of Interciencia Association, Third World Organisation for Women in Science (TWOWS, Co-founder) and International Council for Science (ICSU), the Board of Trustees of International Foundation for Science (IFS), the Governing Board of United Nations University (UNU), the Council of International Network of Engineers and Scientists (INES) and the Executive Committee of Pugwash Conferences (Nobel Peace Prize 1995). She was appointed Mexico's Woman of the Year in 2003.